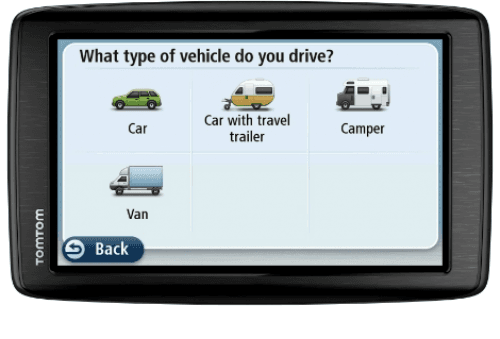 TomTom gets in the RV GPS bandwagon with a certain number of interesting RV-specific features: Its 1605M model tackles difficult road situations by adding, for instance, over-sized vehicle routing, which takes into account restrictions for your vehicle's physical dimensions. 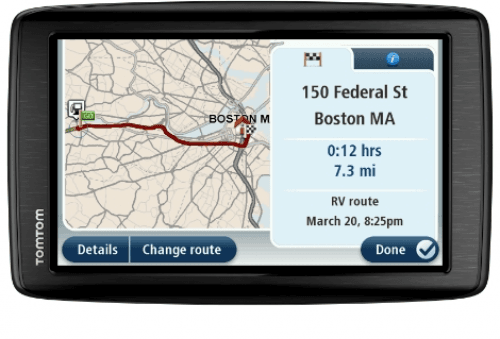 A feature called Split Screen Junction View lets you see two views of the map screen -- a 3D view of road signs, and a "bird's eye" view of complex intersections -- at the same time. Interestingly, you can also use your device to avail a 10% discount on daily registration rates at KOA campgrounds. 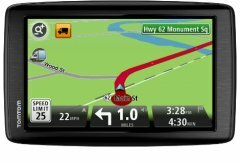 Also known as: TomTom 1605M. More TomTom GPS See all the recent TomTom GPS.